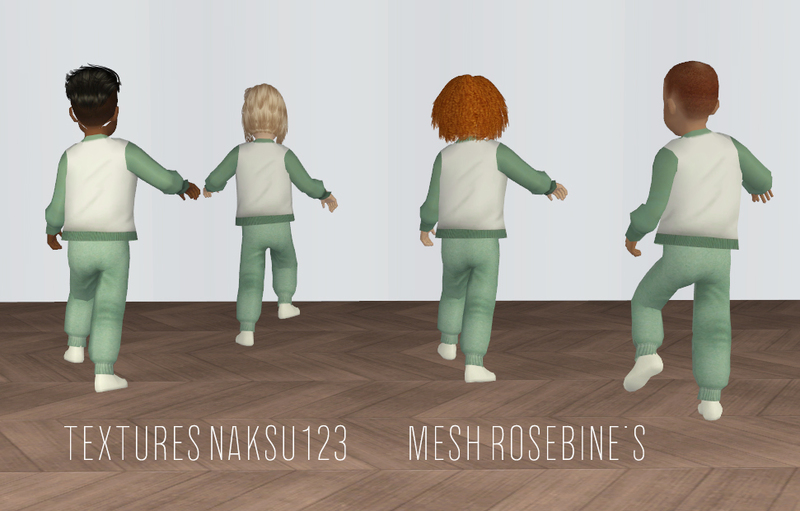 First I want to say that all thanks goes to Rosebine for this wonderful mesh and for her mesh using policy. 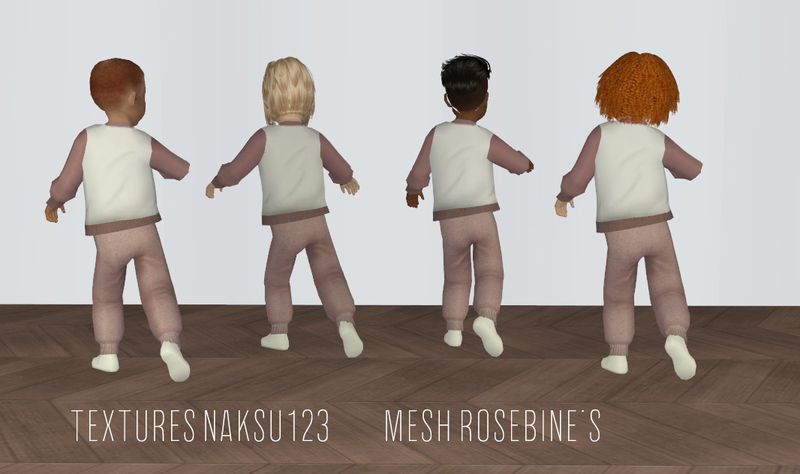 I fell in love for this mesh and wanted to create more recolors for it. 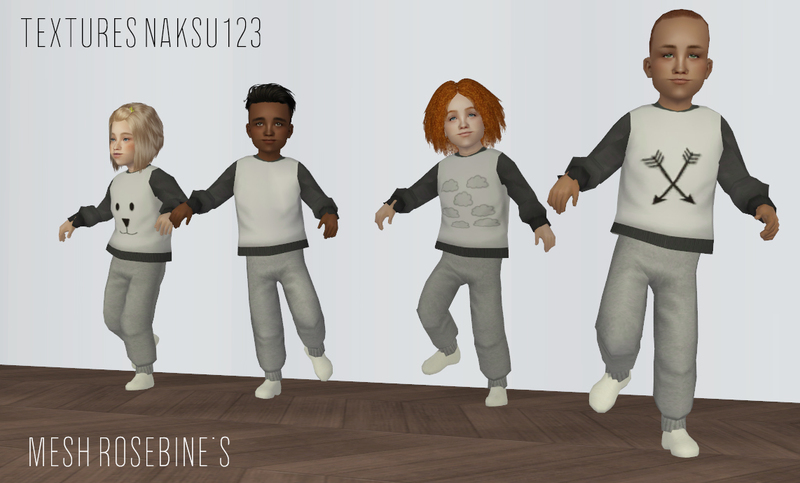 So huge thanks to Rosebine! 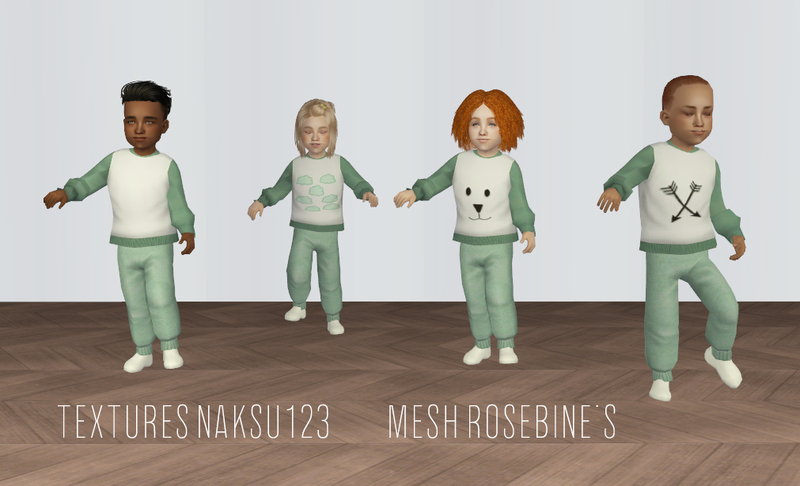 So here I have 16 recolors, all unisex as Rosebine's mesh is. All textures are from my hand as well as the prints in the shirts. I googled the inspiration for the patterns but I have created them by myself in Adobe Illustrator. 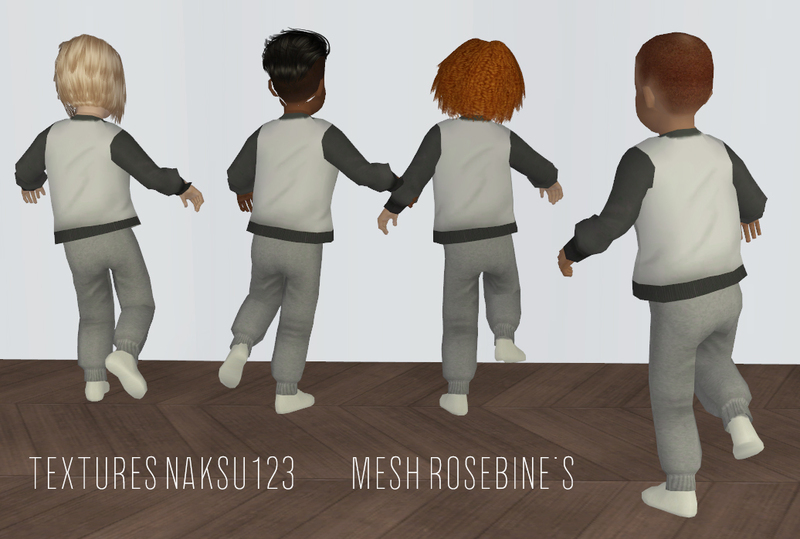 Also I used the maxis feet mesh, because I added socks to keep the feet warm. 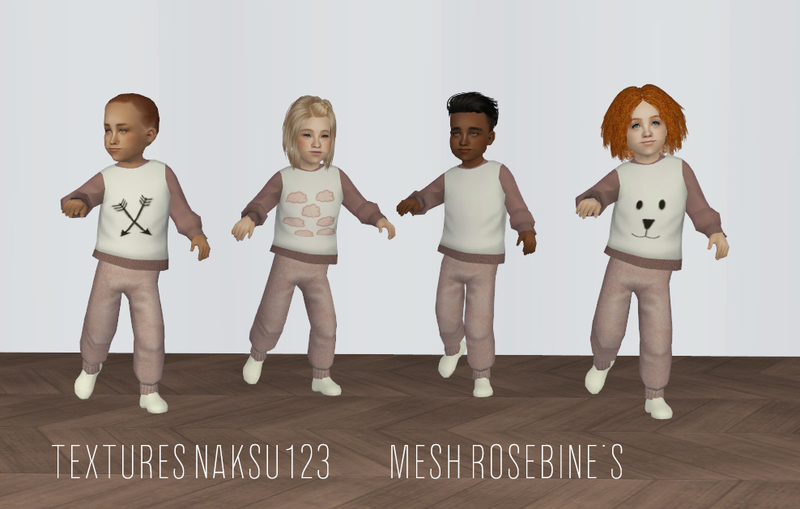 So these recolors appear in everyday and nightwear category. 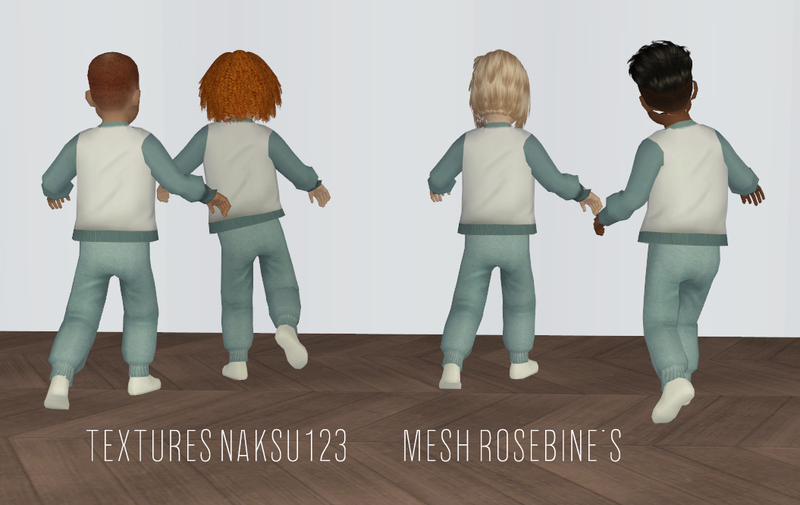 Mesh is included in the zip and the package files are named after their color, so you can easily delete color/print which you don't want in your game. Hope you like my recolors. 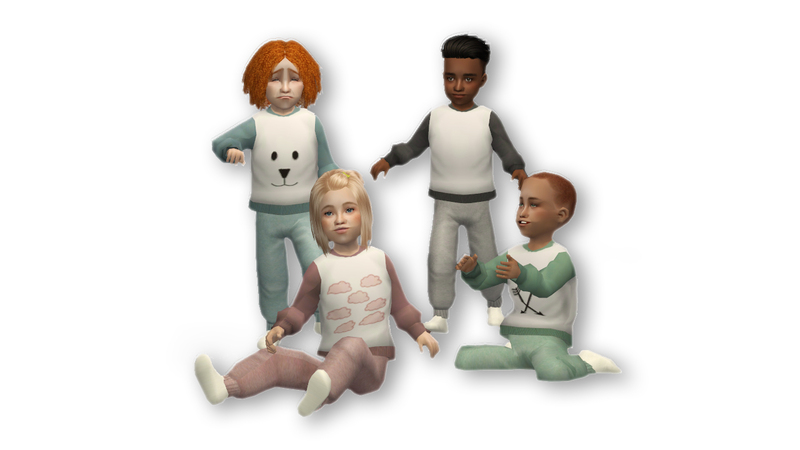 And these recolors were actually very nice to create, so if you have some more colors suggestions I might be happy to create them.